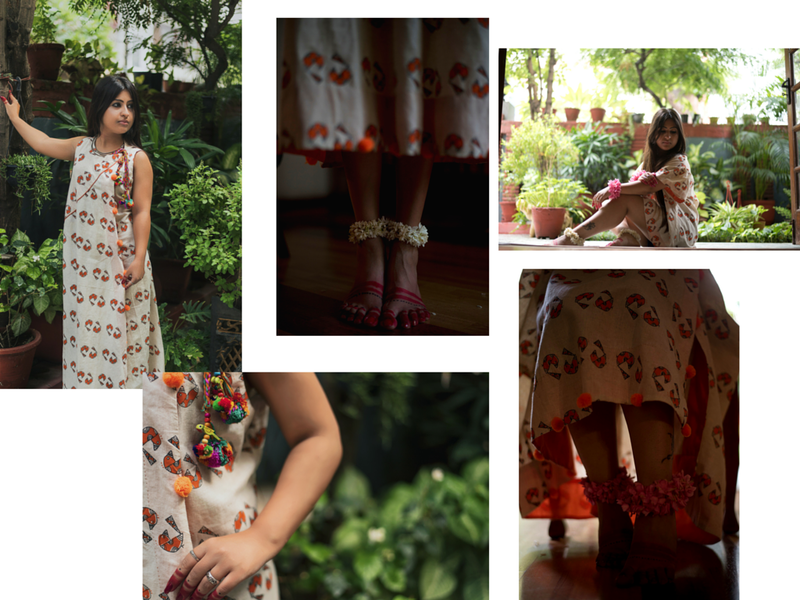 While the season still runs and the mood is still absorbent, I shot for the lookbook of Hathi's new collection that Anjani calls "Love Birds"
The last collection was called the "Keeda Collection" which was inspired by her real life experience with an insect which was rather funny. 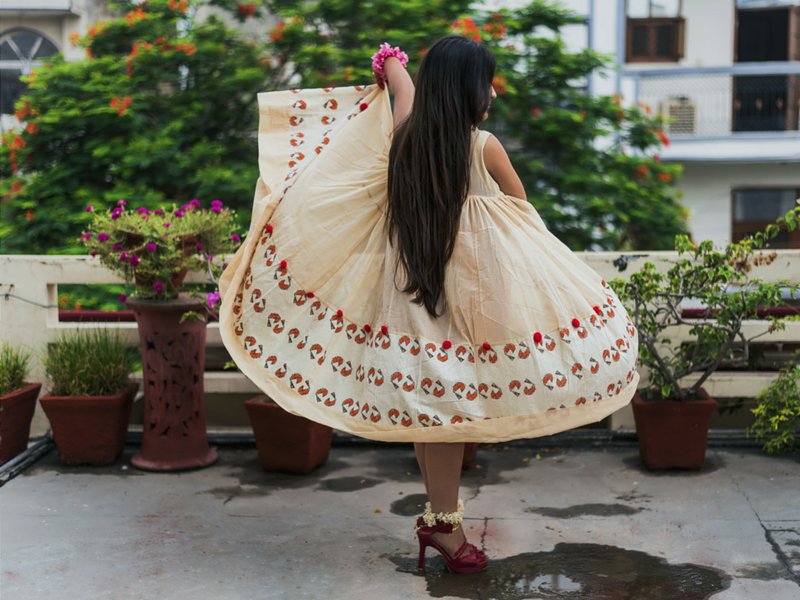 But experiences carve out what we later call art and that is what Anjani does best. 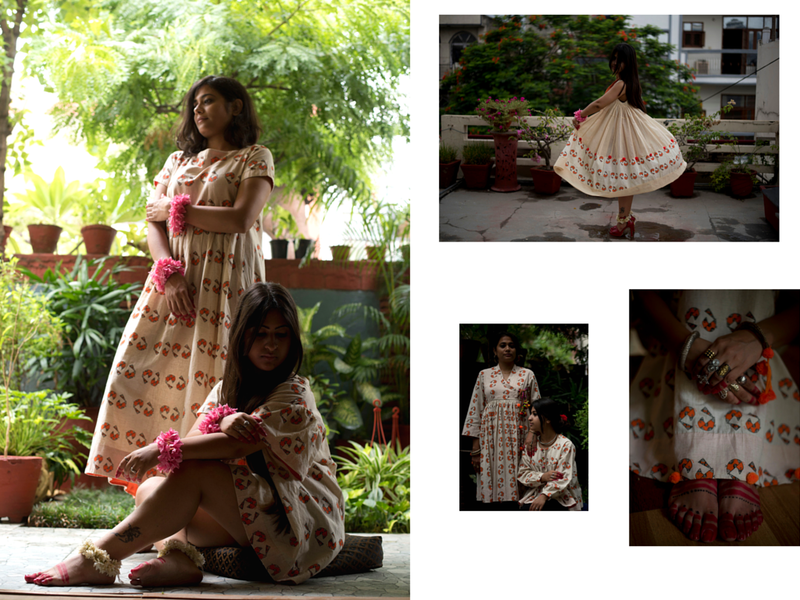 Her new collection again has an inspiration and a motif that she designs herself. Your collections until now have been highly inspired from your life experiences. From a bee sting that brought to life the "Keeda Collection". What is the inspiration behind "Love Birds?" 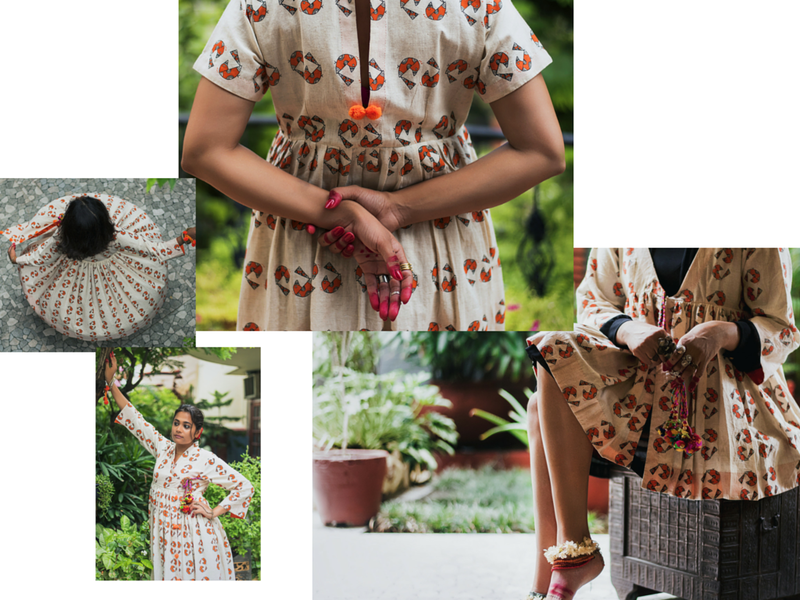 The mood of the monsoon for me is perfectly encapsulated in the love birds which gave birth to the motif that I designed for this collection. The two birds looking at each other join as a whole on the garments - the circle of love that makes our world go happy. The designs celebrate this romance, adding the drama to the garments. 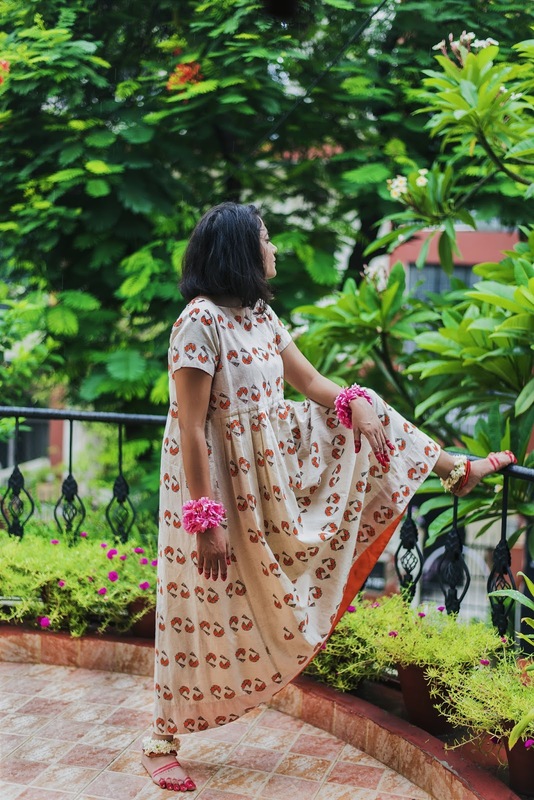 The exaggerated flow in the garments with the bright orange against the crisp clean greens of the monsoon washed trees is the outcome I imagined while designing the collection. 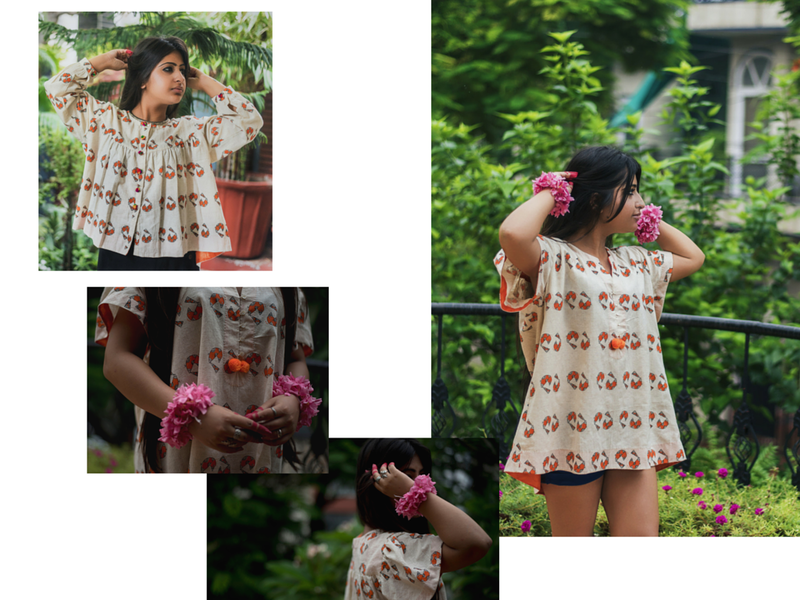 Do you believe in fast fashion since you keep bringing in capsule collections? This time the collection is very organic. 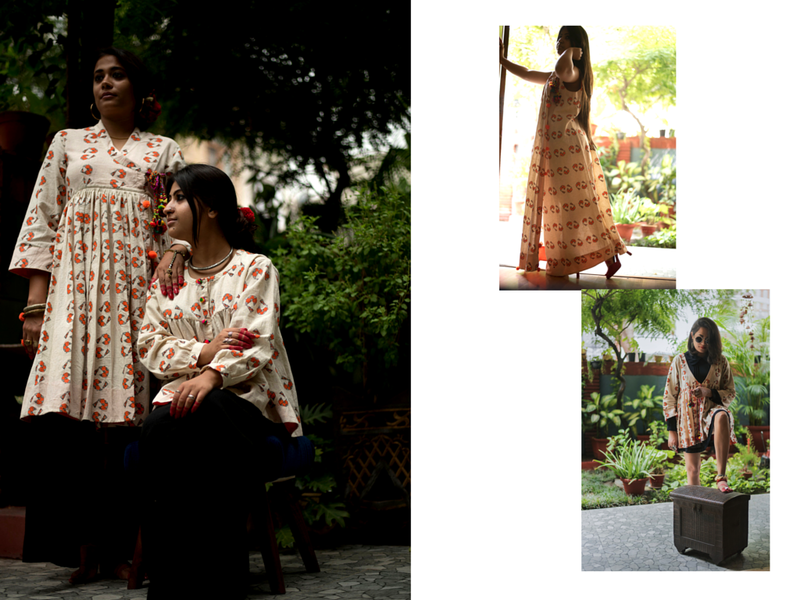 The garments are made out of cotton flax with a lot of detailing apart from the motifs. 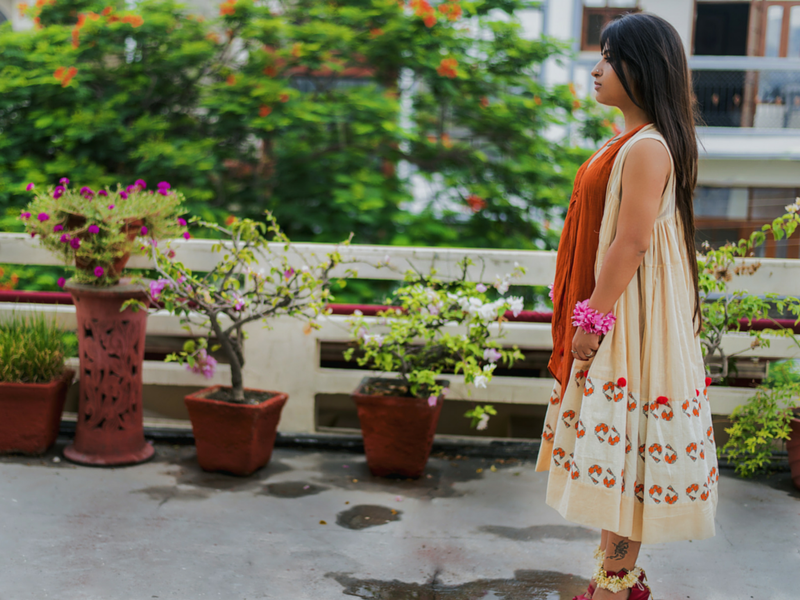 The collection is not about fast fashion but about following a trend less fashion that the romantic in every girl can flaunt even after I launch my next capsule collection. Love Birds has a lot of fall and flair and pieces that will suit every body type. 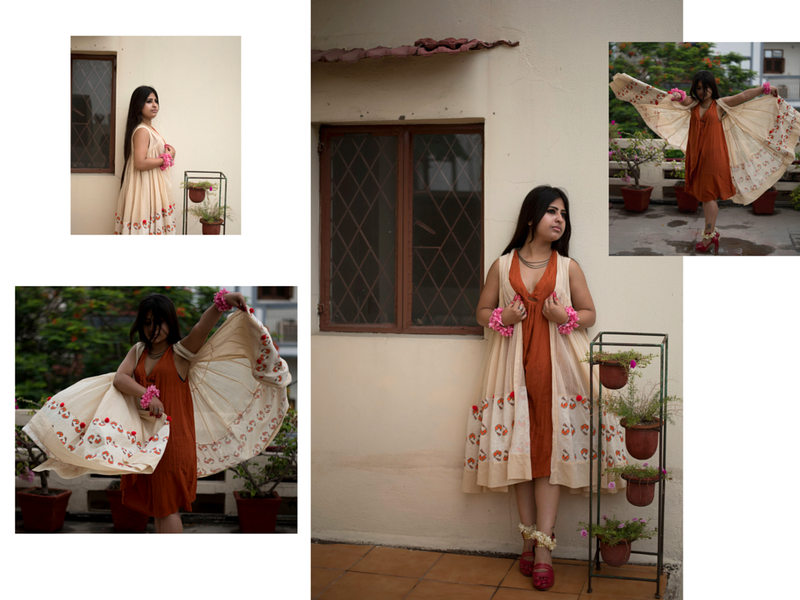 I do not design for a particular body type, thus making it easy for every woman to own one Love Bird garment is her collection. The use of pompom, birds, and a blast of colors in the detailing sets up the mood in the new collection. Since your focus was on "Love" for this collection, the easily relate-able color with the feeling of being loved or love is red. Why then are your motifs orange and not bright red? Love is not just romantic love. You can be in love with yourself, with life or with just the idea of love. Thus, I haven't used the obvious red but orange which is the color of joy and balance. Why did you choose to shoot this collection on non-model figures. Does that not put you at risk when it comes to selling the collection? Exactly why I chose non-models. I do not imagine my collection on model figures, that is not what my audience looks like. They are real people and I want to reach out to them via real people. These are people who are not shy to try out and experiment, and for my audience to relate to my collection I wanted real people to be my muse. 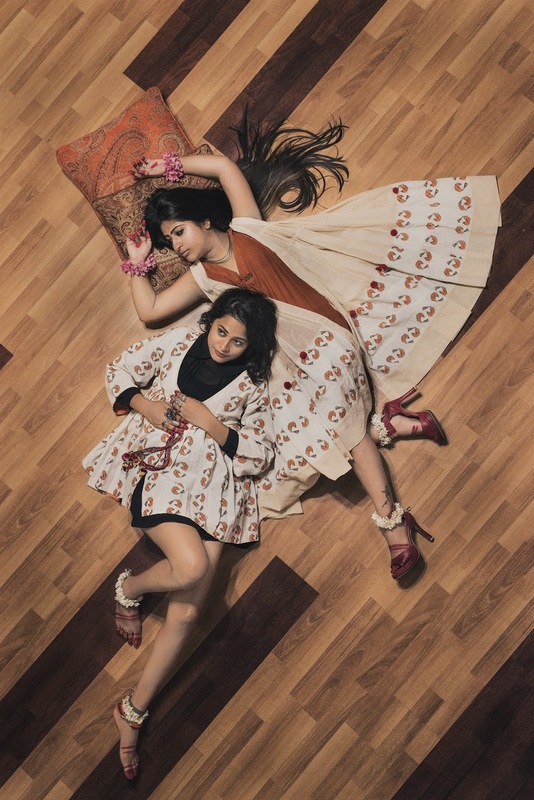 There's Saumya who shot my first ever collection and now my third and there's you who has adopted Hathi and has shot with me for the second time.